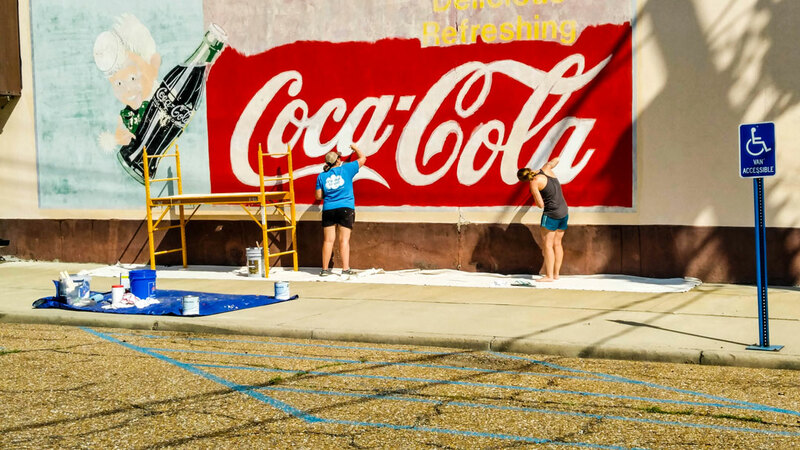 Several organizations and partners in Monroe and West Monroe came together to restore four historic Coca Cola murals found on both sides of the river. 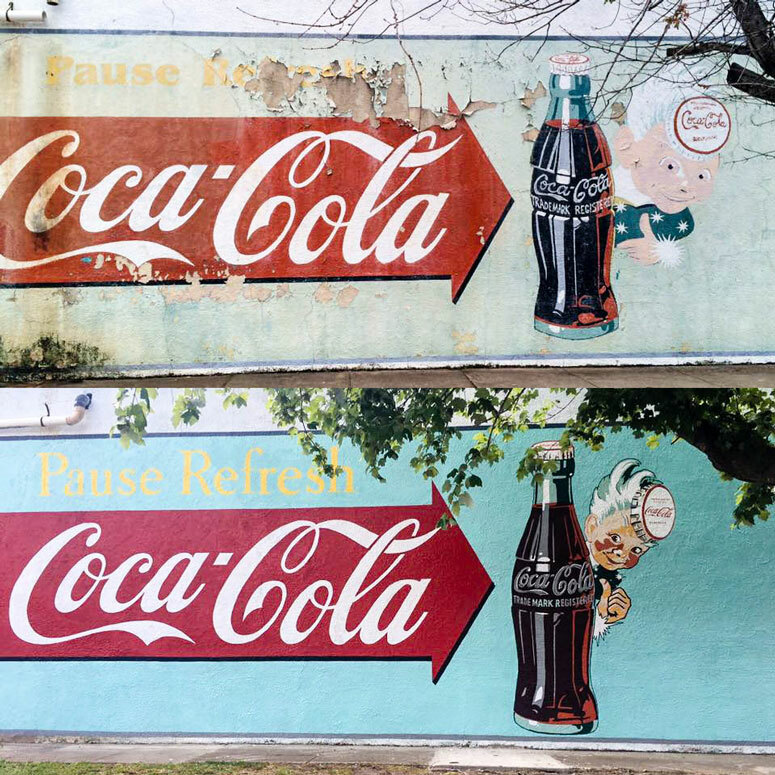 The murals are believed to have been originally painted sometime in the 1940s and served as outdoor advertisements for Coca Cola. 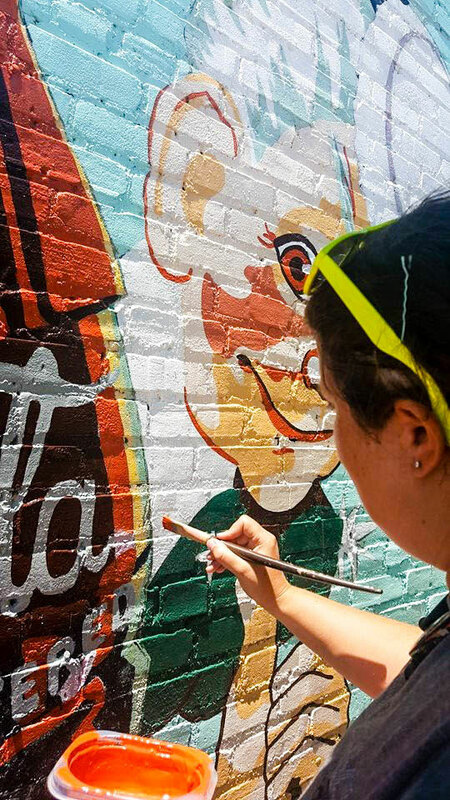 Over time, the murals have faded and in some parts, were not visible at all. 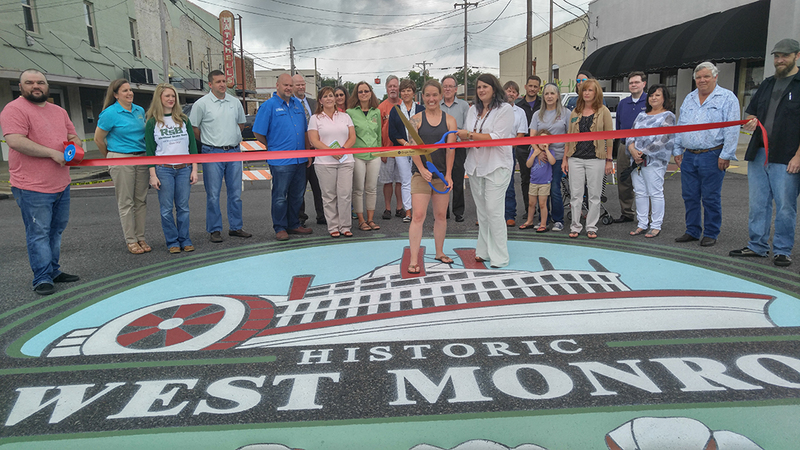 Two murals were located in the City of West Monroe’s Cotton Port Historic District on commercial buildings on Trenton Street. 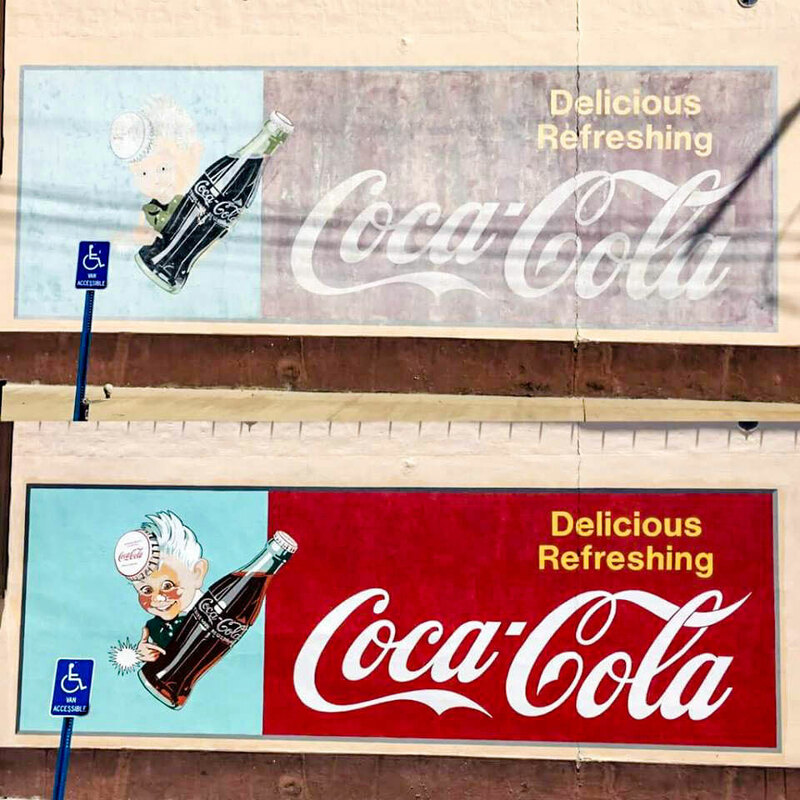 The other two murals are located on buildings in Monroe. The mural restoration was executed by Arrow Public Art ( www.arrowpublicart.com). 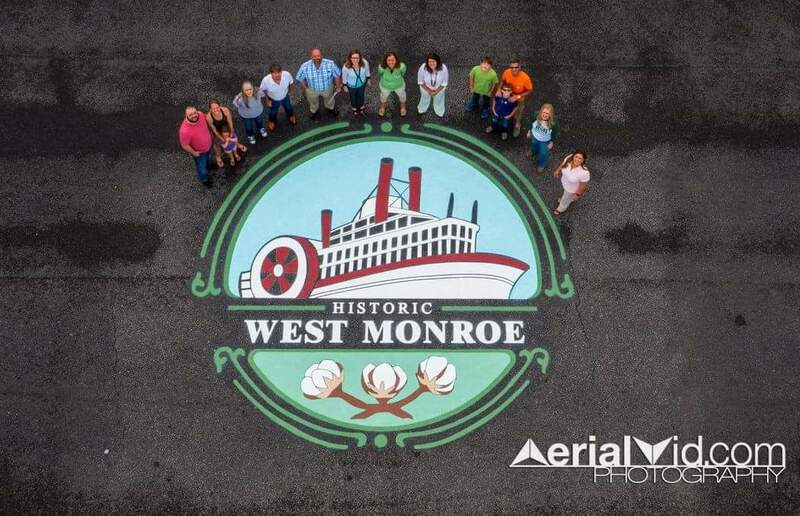 Downtown West Monroe Revitalization Group (DWMRG) will implement a series of painted medallions at key intersections throughout the Cotton Port Historic District. The designs of local artist Emery Thibodeaux were selected for the crosswalk medallions. 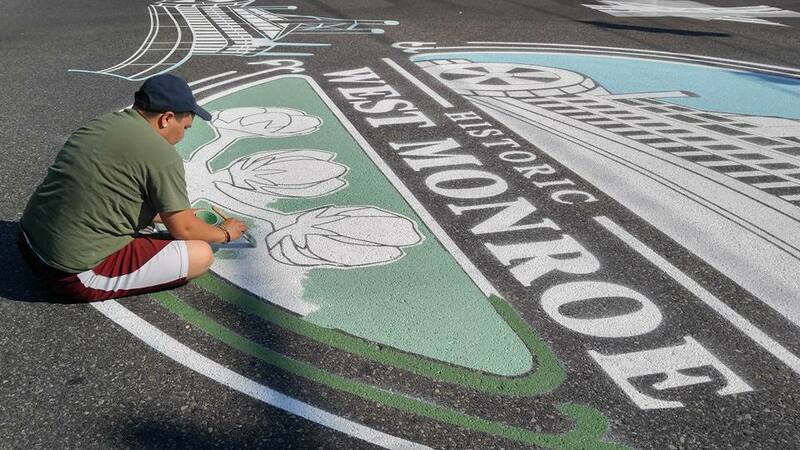 Each of the four designs represents the history of downtown West Monroe and the importance of cotton in the development of the downtown area. Arrow Public Art was hired to paint the medallions. 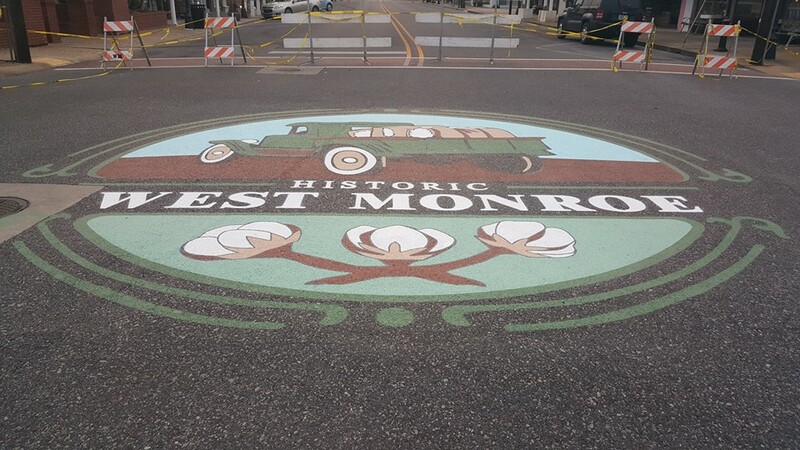 The first design was painted at the intersection of Trenton and Natchitoches Streets in June 2016, and the second medallion was painted in July 2016 at the intersection of Trenton and Pine Streets. The other medallions will be implemented at a later time as schedules allow. Many thanks goes to the City of West Monroe for partnering with DWMRG to make this project possible. 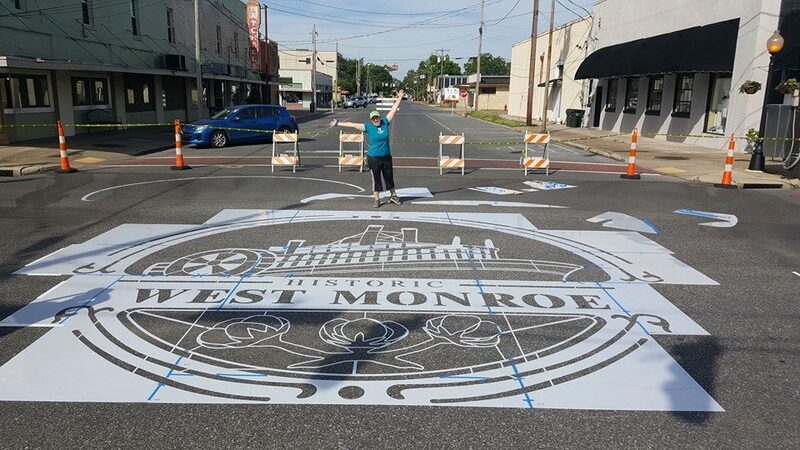 Other partners included Sawyer Plastics of West Monroe for cutting the stencils, Sherwin Williams for assisting with paint and the Downtown Arts Alliance for providing a grant that was used to award a stipend to our winning artist, Emery Thibodeaux.